Many network teams reduce up-front investments by using DHCP and IPAM features bundled with Microsoft Server to manage core network services. But owing to the manual, error-prone work this involves, initial savings turn into restrictively high TCO downstream. Request your complimentary copy today, and see how the long-term reduction in TCO greatly outweighs the immediate benefits of deploying a low-cost solution. 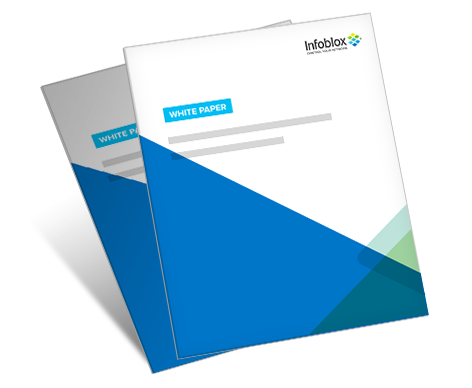 Complete the form below to instantly download this white paper. Please note, EU & EEA residents must actively confirm consent before we can send resources, tools and valuable information. Infoblox is the market leader for core network services, including DNS, DHCP, and IP address management (IPAM), a category known as DDI. We’ve taken our extensive experience in DDI technology to create an industry first Actionable Network Intelligence Platform. It goes beyond DDI to enable you to harness insights derived from the rivers of data moving through your network to enhance all aspects of network management, security, agility, and cost control. © Infoblox. All Rights Reserved.